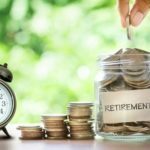 The most recent economic situation is making it increasingly difficult to even discuss the idea planning for an early retirement. Much less, actually doing it. Still, it’s always a good time to plan for retirement no matter what the age. First things first. The key to making sure that retiring early actually works (and lasts) is to have an early retirement plan. Retirement planning strategies will generally revolve around these major concepts. We will discuss each of these in further detail as we go thru this article. Spending Order of Available Assets. Income Needed from Available Assets. 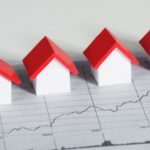 This would include almost all of your assets with the exception of the house, vehicles, or any other assets that would be difficult to convert to cash pretty quickly. Annuities, 401k accounts, 403b accounts, 457 accounts, profit sharing plan accounts, traditional and Roth IRA’s, checking accounts, savings accounts, and all brokerage accounts should be identified and scheduled. These will be considered the assets you have at your disposal to finance your retirement. Small businesses and rent houses should be considered, if you plan to sell these and finance retirement expenditures with them. Gold or coin collections might even be considered as assets available for retirement spending. Many times they can be converted to cash as easily as mutual funds. Now that you have your assets identified, you should arrange those assets in a way that makes the most sense. 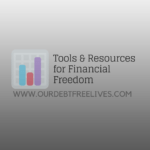 There will often be a preferred sequence of how you withdraw your funds in retirement. Generally, you will want to consider grouping your assets based upon the tax status of the assets available. For example, savings accounts, certificates of deposit, and general brokerage accounts should be spent first (as long as they are not in IRA’s or other qualified accounts). This is true because these funds have been taxed already, and withdrawals of these accounts do not cause a taxable situation to the retiree. 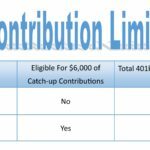 Later, not-yet-taxed accounts such as IRA’s, 403b’s and 401k’s should be considered for withdrawal. This ordering usually makes more sense for a couple of reasons. For obvious reasons, the tax levied on withdrawals from qualified accounts such as IRA’s and 401k’s should be postponed for as long as possible. Also, delaying withdrawals from qualified accounts allows further tax-deferred growth to take place. Moreover, consider capital gains tax issues when selling raw land, small businesses, rent houses or gold coins used to fund your retirement. Think about selling assets with embedded long-term capital gains instead of short-term. Short-term capital gains are presently taxed at higher ordinary income tax rates, whereas the long-term capital gains tax rate is currently set at 15%. The ordering of assets is up to you. Just remember that there is usually an ideal process of liquidating your assets. You just have to find it. An early 401k withdrawal is a withdrawal made prior to the age of 59½. Generally, not only are these type of withdrawals taxable, but a 10% penalty applies as well. However, an interesting exception exists for individuals interested in planning for an early retirement. 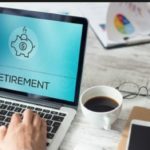 401k withdrawal rules state that you can begin taking an early 401k withdrawal in the year you turn 55 or later from your current employer only. These withdrawals are taxed of course, but the 10% penalty is not applied. Therefore, it may be a good idea to roll older 401k’s into your current employer’s plan before you retire. This process could give you additional funds available to access. Taxes will still apply to withdrawals of course, but penalties will not be applied. This 401k strategy is quite a boon for near-retirees whose primary source of early retirement income is their employer’s retirement plan. A withdrawal rate is the amount of income taken from available assets divided by available assets. A popular rule of thumb heard repeatedly is that a 5% withdrawal rate is relatively safe. Depending on inflation factors, portfolio performance and the standard of living adjustments during retirement, this rate may or may not be safe. Always remember, a rule of thumb should be no substitute for good judgment. If I were asked to identify the single greatest risk while considering early retirement planning, it would be inflation risk. Inflation is the systematic, silent killer of the best of plans (Related Article: How To Combat Inflation). Even when the best portfolios have their problematic years of soft returns (if not downright lousy), inflation continues without sleep. And it almost always goes up. An example may help to illustrate the problem of inflation. Let’s say you’re 50 years old. You want to retire at the age of 65. You currently need $50,000 to fund your basic living expenses. Inflation numbers are at steady 5%. 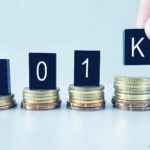 For your first year in retirement, you will need $100,000 in your first year of retirement assuming your standard of living stays the same. Can your portfolio keep up with inflation without exposing itself to unnecessary risk? As stated earlier, inflation is the dragon. How do we slay it? With proper planning and risk management, of course. Early retirees have a unique problem. First, the forces of inflation should be a greater concern because early retirees have even more years to battle against it. Second, there are no employment wages or salary income to battle with. This puts the portfolio assets in the position of having to grow to keep up with inflation and the withdrawals being taken against them. Bad portfolio years turn out to be unacceptable to the “just-retired” folks because there is no safety net of wages or salaries to catch the retiree when things get dicey in the markets. So often, portfolios crumble against the weight of inflation and withdrawals. Couple that with a poorly-designed portfolio and you’ve got a recipe for disaster. A poorly designed portfolio generally includes too much or too little risk for the portfolio owner. Either mistake can cost a retiree. So, always remember that there are two entirely different phases in an individual’s investment life. Accumulation phase. This is the stage of life in which an individual is simply interested in growing his/her portfolio. If small losses occur, an individual in the accumulation phase has plenty of years to make up for them. If you are doing some early retirement planning, this phase is history. Distribution phase. Now you have worked very hard for your money and you have very little margin for error in your investment accounts. You should be invested far more conservatively than you were in the accumulation phase. In the distribution phase, the number one goal is to never lose money. 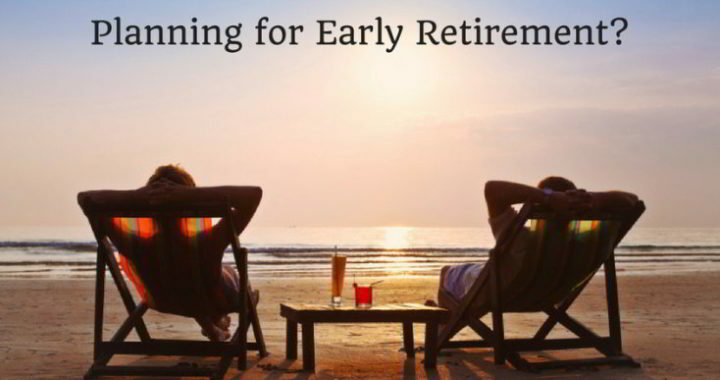 Finally, early retirement planning can be both exciting and daunting. Begin to work in these five areas. This summarized short list is not to be construed as exhaustive, but you will be well on your way to a secure early retirement plan. Order assets based upon tax issues. Learn Retirement Account Withdraw Rules. 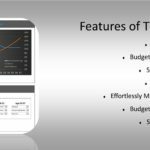 Determine Income Needed From Available Assets. Invest According to Your Phase in Life! Posted in Retirement and tagged 401k, Retirement Account, Retirement Plan.